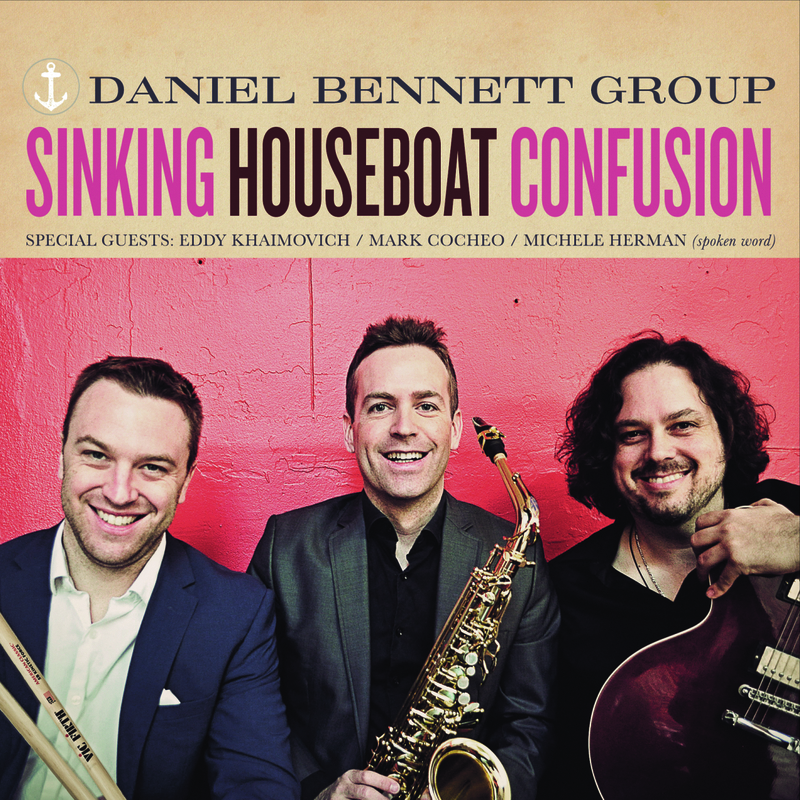 Well, another year has come and with it a new album from the Daniel Bennett Group. I’m watching the group’s activities since I did the review of the 2015 album “The Mystery at Clown Castle”. The group was touring a lot during the last year and their setup is quite unique with Daniel Bennett typically on alto saxophone (but also on flute, clarinet and oboe), Nat Janoff on guitar and Matthew Feick on drums. “I have always been obsessed with the idea of playing in *very* small-sized bands. I think it forces the musicians to give 110% to the music. It also encourages us to play and utilize many instruments and sounds. “, Daniel explained. On the album the trio is supported by Eddy Khaimovich on bass (as on the last album). The album has 10 songs and a total playtime of 36 minutes, so this is not a typical jazz album. But the band sees itself not as a typical jazz band, they describe their style as “quirky modern Jazz, fused with elements of Surf Rock and Avant-Pop”. There are definitely some nice little pop songs on the CD, like the first tune “John Lizard Comes Home” or the title song of the CD “Sinking Houseboat Confusion” and my personal favorite “Animals Discussing Life Changes”. These songs have a catchy melody and they tell us a little story like a good pop song should do. 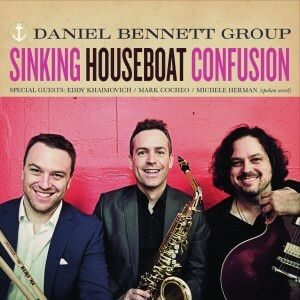 But the Daniel Bennett group does not stop here, the CD is again a rather individual mix of styles, sounds and techniques. or “Bobby Brick Sent Me”, a hypnotic saxophone improvises over a steady guitar and drums rhythm. Or listen to the “Sinking Houseboat Confusion (Acoustic Reprise)” with Mark Cocheo on guitar. The song starts with a long and atmospheric dialog between guitar and alto saxophone and turns into a nice groovy acoustic version of the title song. This second part is another highlight for me on the CD. I “…pound you on the back: Good job, good job”.